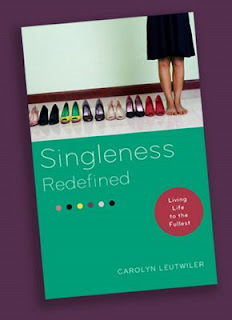 Best book I've ever read on the privilege and joy of God's gift and/or time of singleness. Excellent biblical exposition, insightful illustrations from classical literature from St Augustine and John Milton to C.S. Lewis, George MacDonald, and J.R.R. Tolkien, and many more. One of my favorite parts is the exposition of Isaiah 54:1 on pages 133-134. Carolyn includes many honest personal testimonies from her own journey to contentment and enthusiastic service as a single. Yes, she still struggles at times, she admits, but continually hands her life over to the Lord's will, as we all must, no matter what arena of life we're in. If you want to improve your communication skills, whether it's to tell stories to your own kids or to make your missionary presentation more captivating, this is a great book full of practical application. Many of the principles and some great examples can be found on John's website: http://www.christianstorytelling.com/ (linked to title). Enjoy! Wanna make something really yummy (and naughty)? Okay, I used a regular apple pie recipe... pie dough for a double crust but add pumpkin pie spices to the dough; cook down the apples with spices and then add some flour to keep it thick; meanwhile heat about a cup of oil in a skillet; then roll out the dough (all of it) into like a 8 x 12 shape; put the apple filling inside; it's really yummy if you add some caramel and chocolate; roll up the dough; fry! =) flip; fry; pat dry on paper towels and cover with powdered sugar... Mmm. Goodness!